If you’ve strolled around the Concordia campuses and came across the numerous boards hung around, you’ve probably noticed an interesting shade of stand-out pastel green. A poster, reading CFF, Concordia’s forty-fifth film festival, ran from May 3rd, until May 6th. 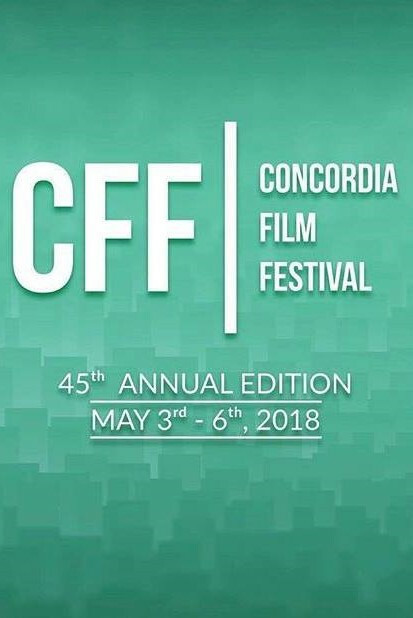 The Concordia Film Festival is a yearly non-profit event organized by Concordia University’s students, in collaboration with Concordia’s Mel Hoppenheim School of Cinema. It is a four day long festival at Concordia’s Sir Georges William Campus, normally during the first week of May. They screen premieres, made up of short films and animations, created by Concordia students and international filmmakers alike. MHSoC proudly stands as the largest university-based centre for film studies in Canada, with a collection of works screened to great acclaim at festivals around the world. This year, the CFF was directed by undergraduate students Elizabeth Prati and Alexandre G. Vermeil, both bidding farewell to the organization of their year-long project. Prati has just completed her BFA in Film Studies, and will be graduating this spring. Vermeil graduated in Fall 2017 with a Specialization in Film Studies, and will be proceeding with a Masters degree in Fall 2018. “It’s kind of like a final undergrad project, so I was like ‘let’s do it!’” Prati says. Both Prati and Vermeil have been aiding in the planning of this festival for three and two years respectively, and became directors this year. Holzberg has just completed his first year as Film Studies student (BFA), and is going into his second. As I sat down in the Film Students’ Office, I admired the numerous vintage posters hung all over the walls, and the smell of the rustic paper. There was no specific theme for the festival⎯ they historically do not impose one, but diversity proved to be an important aspect to the organizers this year. They encouraged everyone to share their stories, in a free, open manner, on the platform they created. In addition to their “Open Competition” segment, in which they showcased movies produced by an array of international students, the CFF screened a collection of animation films produced by MHSoC’s second year students. The film students believe that the core value of diversity is not to fill a quota of differences, but rather allow voices to be heard, be it people of colour, or the LGBTQ+ community. “We just give them a platform to explore what they’re living” added Vermeil. The CFF’s interest in diversity also extends to genres of movies screened. Although only four days long, the festival took a lot of time to prepare, and it was not an easy task. Their passion for success, and their need to spread the joy and comfort they feel when being taken by a movie was palpable in every word they spoke. As well, the collection of movies, be it from their Open Competition assortments, ranging from Brazil, to China, to Iceland, or even their student-produced compilation, expressed apparent devotion by their creators. The ongoing goal for the Concordia Film Festival is always to encourage filmmakers to share their ideas, and express their voices. Correction: The Link originally incorrectly stated how long the organizers have been working as directors. The Link regrets the error.